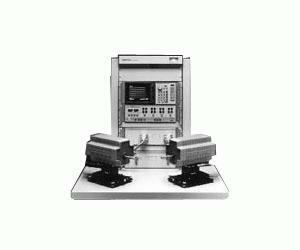 The Agilent Technologies 85106D millimeter-wave network analyzer system extends the performance of the 8510C network analyzer to the millimeter-wave frequencies. This system can be configured for measurements in the 33 to 50 GHz, 40 to 60 GHz, 50 to 75 GHz, and 75 to 110 GHz waveguide bands. The 85106D network analyzer system provides the best performance to meet your new design and test challenges, with high accuracy, dynamic range and frequency resolution for measurements at the millimeter-wave frequencies. The impressive accuracy of the 85106D system can be attributed to the “thru, reflect, line” TRL calibration standards which are used to characterize and remove systematic errors from the measurement. With a TRL calibration, the residual system uncertainties can be reduced to 46 to 50 dB directivity and source match. For millimeter-wave components that require the measurement of a wide range of power levels, a specified high dynamic range of 87 to 75 dB can be achieved with the 85106D. Option 001 Add an 8517B (45 MHz to 50 GHz) S-parameter test set, 85056A 2.4 mm calibration kit, and 85133F 2.4 mm test port cable set. Replace an 83621B (RF) with an 83651B synthesized source.